Help Get STEEM Listed on COBINHOOD, the Zero-Fee Exchange! In an effort to get STEEM listed on Cobinhood.com, I submitted STEEM as a "Crowd-favorite token" for the Cobinhood community to vote on. If enough support is generated, it might get adopted by the exchange. If enough votes and comments come in, maybe it will get approved for listing. Please go to COBINHOOD's homepage and click LISTING or UNDERWRITING to go through the formal listing application process. This is what I have posted in the crowd-favorite submission, taken from the Steem FAQ page. 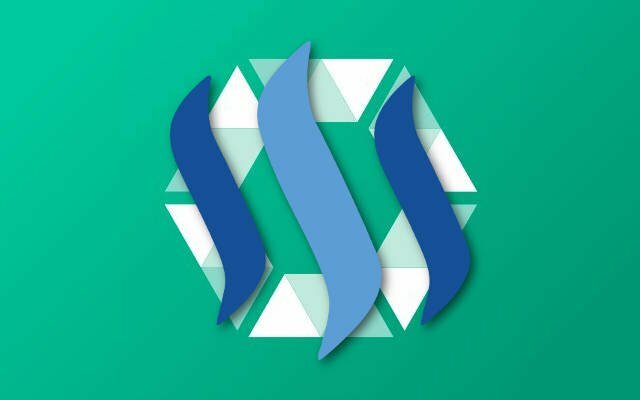 Steemit has redefined social media by building a living, breathing, and growing social economy - a community where users are rewarded for sharing their voice. It's a new kind of attention economy. Every day, the Steem blockchain mints new STEEM tokens and adds them to a community's "rewards pool". These tokens are then awarded to users for their contributions, based on the votes that their content receives. Users who hold more tokens in their account as "Steem Power" will get to decide where a larger portion of the rewards pool is distributed. The Steem network continually creates new digital tokens to reward content creators and curators. Some of the newly-created tokens are transferred to users who add value to Steem by posting, commenting, and voting on other people's posts. The remainder is distributed to holders of Steem Power and the witnesses that power the blockchain. At its root, Steem is simply a points system. However, because this points system is blockchain-based, the points can be traded on markets as tokens. People buy and sell these tokens, and many hold in anticipation of increased purchasing power for various Steem-related services. By analogy, Steem is a game system where users compete for attention and rewards by bringing content and adding value to the platform. The rewards people earn are tokens that have market value and are readily tradable. It is similar to how someone playing a video game could obtain a limited item or currency by playing the game. If the currency or items are transferable between users, then they can sell or buy them on game item markets. Thank you for your time and attention. I hope we can get STEEM listed on Cobinhood :) Peace. This is a great request but are you aware that Cobinhood had the promo-steem team help them reward people on the steem bkockchain using the Oracle-d model? I think Oracle-d may have a quick means to have this request granted. Most of these exchange want extra doe from the team to get anything listed. Some ask in 100's of k.
Yes, it will do steem good to be listed on cobinhood. At least everyone on steemit should vote for it to be listed. Great suggestion! I think it would help getting Steemit more recognition to be listed on as many of these websites as we can. I will try to register and upvote your post on there! Thanks for the effort man, but that form is too much of a hassle for average joe to fill and I think it is for project owner to do. Great job though. Thank you. Good work. Respect. Upvoted.